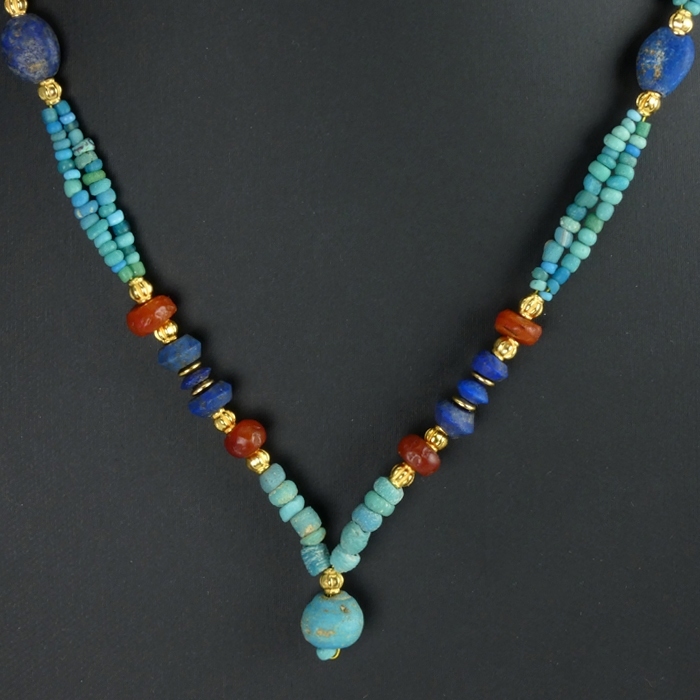 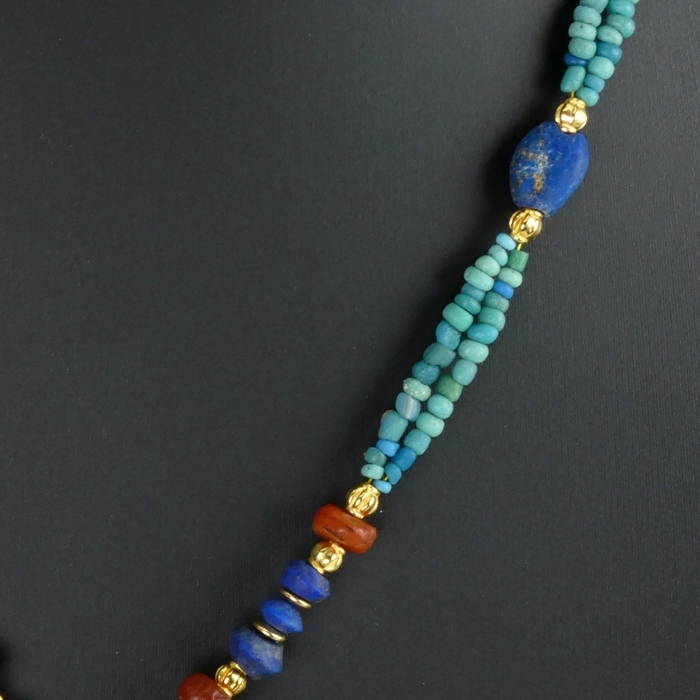 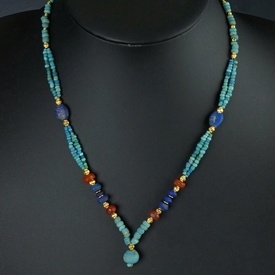 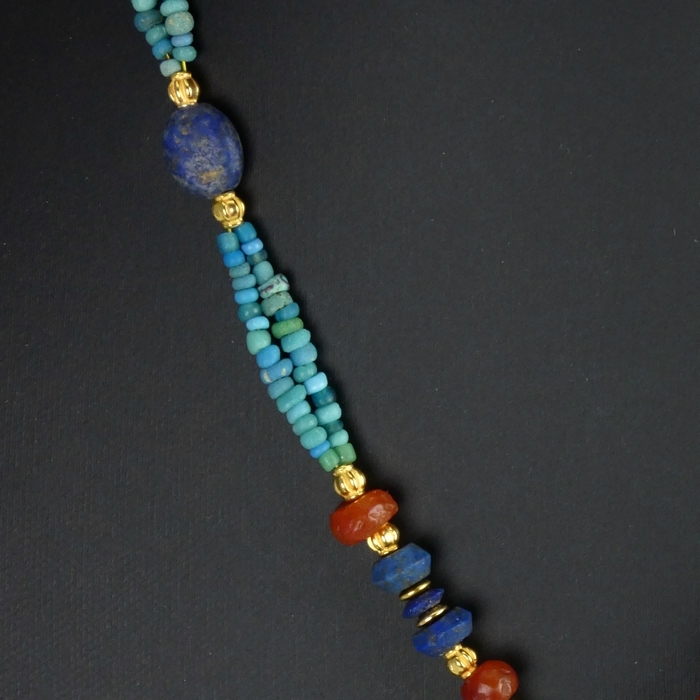 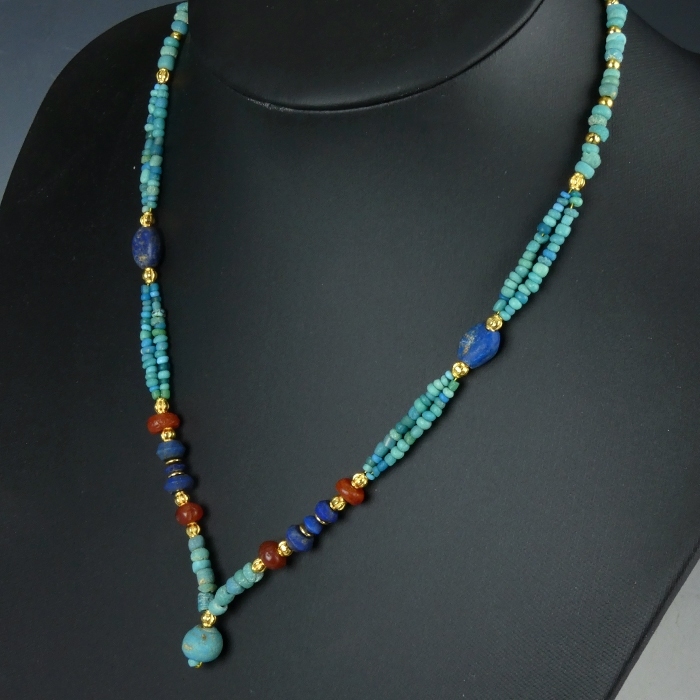 Beautiful necklace with Roman turquoise glass, carnelian and Egyptian lapis lazuli beads. 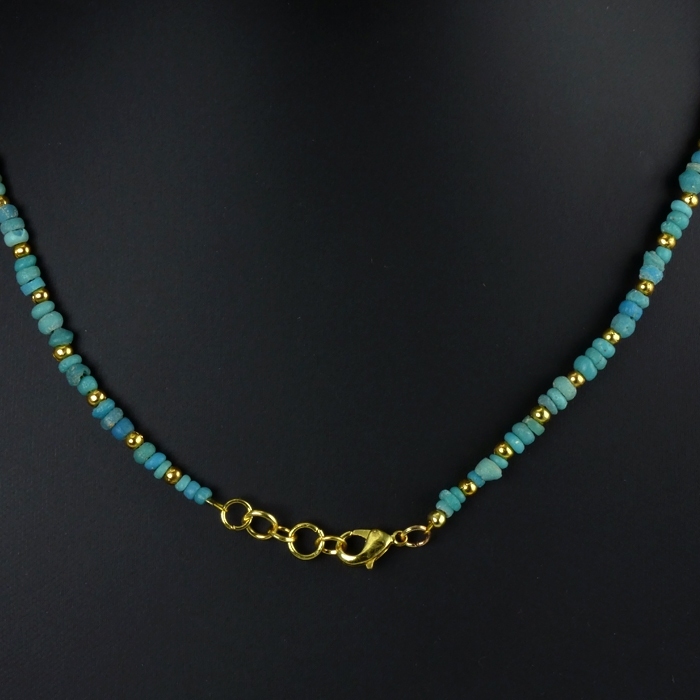 The necklace has a lovely turquoise glass drop pendant and the design features partial double strings. 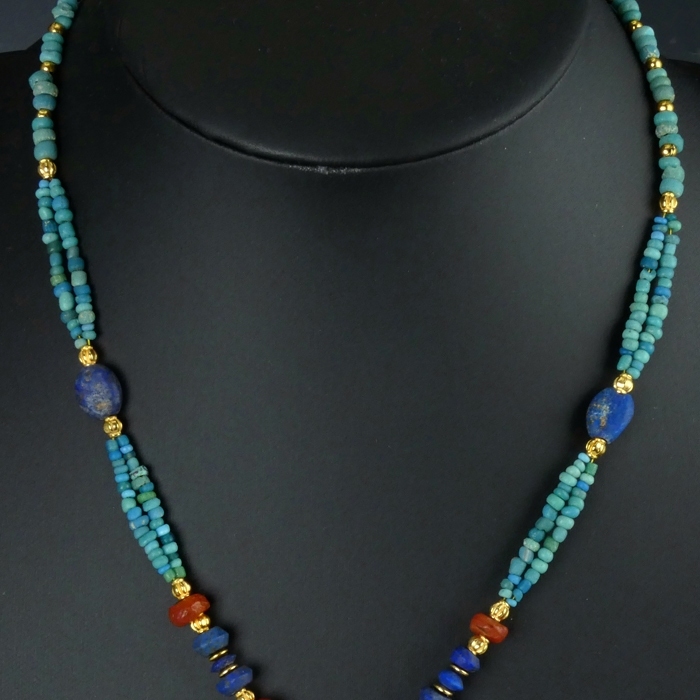 Restrung with authentic Roman beads in an elegant design with decorative spacer beads and wearable (clasp).